Hey everyone! Jess here, your official cheerleader/substitute teacher while Rae snuggles her new baby boy! It’s spring, right? Spring is acting like a bit of a tease this year, but I think it’s time to haul out the light, bright and breezy fabrics and get a jump on our warm-weather wardrobes. So let’s rev our sewing machine engines! Let’s wind our bobbins! Let’s have a Spring Top Sewalong! 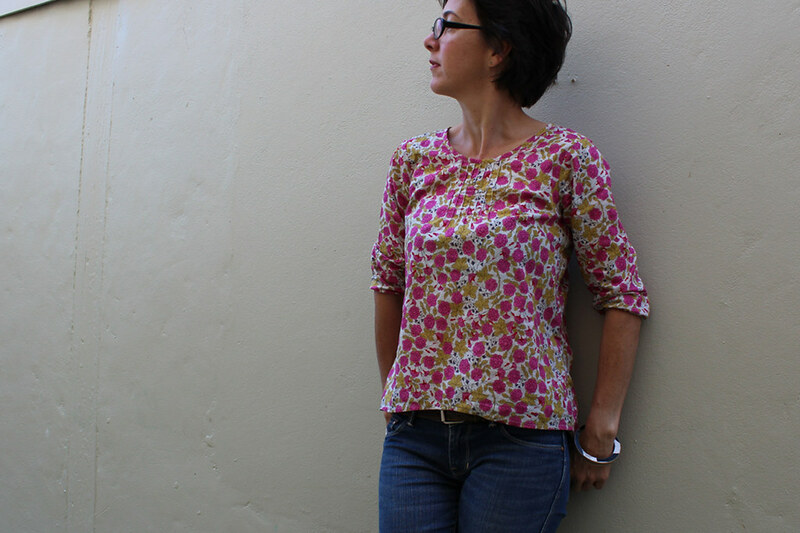 The Spring Top Sewalong is a personal sewing challenge to sew at least one top for yourself this spring and share it to inspire others to do the same! Rae started the sewalong (then called “Spring Top Week”) back in 2009 as a contest along with posting a top she made each day, and has been doing it every year since. Over the past couple of years we’ve scaled it back a bit (because ahem, contests take a TON of work, and AHEM posting a top a day for a week is a bit cray-cray), but the basic concept has remained the same: a fun opportunity to inspire each other to sew something for ourselves for spring! This year’s Spring Top Sewalong will start next week and run until mid-May (we’ll wrap it up May 11), so you’ll have plenty of time to sew. But don’t wait too long! 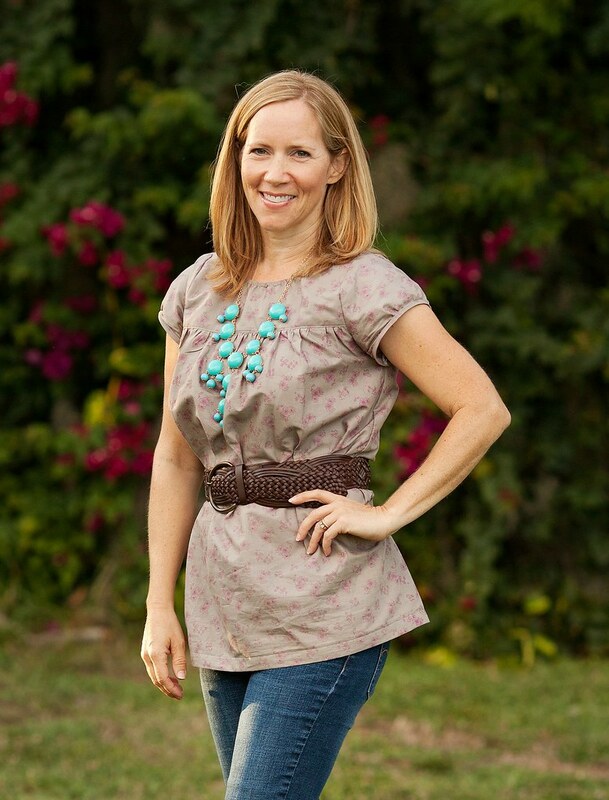 We want to feature as many of your spring tops here on the blog as possible, so the sooner you post something, the better. We’re pretty flexible, so if you’ve already completed a top for yourself this spring, feel free to include it. We’ll kick off the sewalong next week Monday with some great sewing pattern giveaways. A few independent designers have offered up copies of some our favorite top patterns to get us jazzed for spring tops, and we’ll give away some of Rae’s patterns too. Come back on Monday for the first giveaway. Woohoo!! 1 : SEW a top for yourself. And don’t feel like you need to stop at ONE TOP. Repeat with as many tops as you want!! The more tops you make, the bigger your spring wardrobe, right? on Flickr, join the Spring Top Sewalong Flickr Pool and add your photos. Remember that square photos without text or big watermarks are easiest for us to feature here on the blog. on Instagram or Twitter, use the #springtopsewalong hashtag to post photos of your tops and check out what others have made. We’ll post photos from IG here on the blog in addition to the Flickr photos. Did you know that Instagram also has a feature to send photos to Flickr? Feel free to use it! Feel free to post in-progress shots of tops in addition to finished garments, and of course, be sure to tell us all about it so we can be inspired! You know Rae has been a *leeetle* bit busy with the wee Hugo Marvin, but I think she’ll pop in and say hello once in awhile over the next few weeks. And I have a top or two coming to life in my sewing lair that I’m excited to show you. Need inspiration? You can find all of the tops from years past on the Spring Tops page. If you blog about your top, be sure to include a link if you blogged about it so we can read all about it, and link to the pattern you followed, if applicable. Help us spread the word by reposting any of the images in this post on IG or your blog if you’re going to play along! Yip skip! I’ve got some projects lined up that will coincide nicely with this, including a Washi or two. Already shared the sew-along! Yay! Didn’t manage to do any tops last time around, but I’ve got one all pinned together now and at least one other that should be do-able in the next few weeks. Fun! Hmmm, maybe it’s time to pull out that t-shirt pattern and give it a try. I’ve been doing Kid’s Clothes Week so it should be easy to continue with actually sitting down and sewing instead of thinking about it. This is a lovely idea, I definitely want to give it ago, I’ve got lots of tops I want to get done for spring, just need a bit of an incentive! big congrats to rae on her new baby boy! I need a washi nursing top, it will a perfect opportunity! I would love to win this! Looks so cute and cozy. I’m sad I missed this! I’m going to keep my eyes open next year!